NTEF is a component fund of the Community Foundation of Western PA and Eastern OH, a 501c3 public charity. Neshannock Township Education Foundation is seeking up to one member of the Class of 2020 and up to two additional members of the Class of 2021 to serve as non-voting trustees. Interested candidates must submit a completed Student Trustee Application, signed by a parent/guardian, to the Office of the Superintendent, Dr. Terence P. Meehan, by 3:30pm on May 3, 2019. The Corporation is incorporated exclusively for charitable, educational, and scientific purposes, particularly to provide support for schools within the Neshannock Township School District, their faculty, staff, students and alumni, and to promote, sponsor and carry out objectives within or related to the Neshannock Township School District. 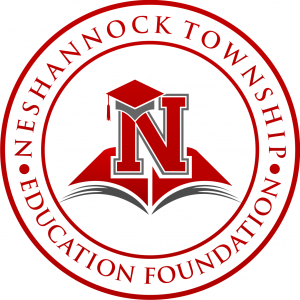 The Neshannock Township Education Foundation shall preserve and improve the education of students in the Neshannock Township School District by operating as a philanthropic organization. As a philanthropic organization, the Neshannock Township Education Foundation will fund projects and/or programs that support the District’s academic goals. Requests will be reviewed and prioritized accordingly. Neshannock Township Education Foundation is a component fund of the Community Foundation of Western PA and Eastern OH, a 501c3 public charity. This two-day event, a collaboration of LCCAP and NTEF, kick starts the holiday season for all of Lawrence County! Neshannock Memorial Elementary School is transformed into a winter wonderland over Thanksgiving weekend. Craft, retail, and food vendors are sprinkled throughout the holiday tree and wreath display for all to enjoy! An eclectic variety of entertainers dazzle the event goers throughout the festival. After the sun goes down, golfers take to the course in this unique golf scramble! Both golfers and non-golfers have a blast with glow-in-the-dark golfing, putting, and a live band! Glow Golf is coming again in 2019! Mark you calendars for August 4, 2019!